For single tickets to “Dance Dance Dance!,” give the Paris Theatre Box Office a ring at 702-946-4567 or click here. Catch the show on Oct. 29 at 8 p.m. or Oct. 30 at 2 p.m. An opening night special offer is available; $40 buys a ticket to the Oct. 29 show and a front-of-the-line, no-cover pass to Chateau Nightclub and Gardens. Click here for the moolah-saving details. But (and I’m risking sounding like a used car salesman here, but bear with me) that’s not all! Hubbard Street artistic director Glenn Edgerton will teach a professional-level master class from 1:30 to 3 p.m. on Oct. 27 at NBT’s Summerlin studios. $75 nets the master class and a ticket to “Dance Dance Dance!” on Oct. 29 at 8 p.m. or Oct. 30 at 2 p.m. Walk-up registration is available the day of the class for $50, but space is limited. 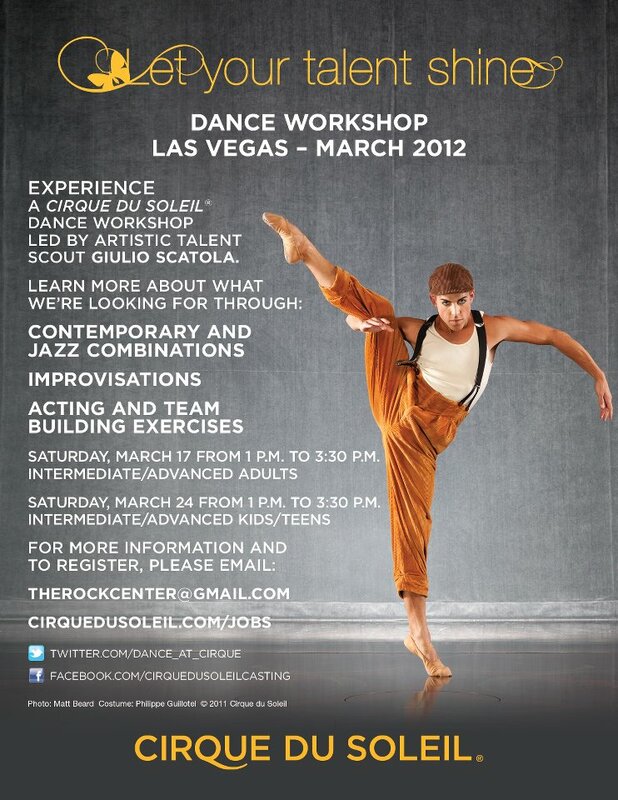 To save a spot, call 702-243-2623 to register. And who taught them to tap dance? Gregory Filler, an alum of the international phenomenon Tap Dogs (and many other shows), hoofed it up at The Rock Center for Dance on July 28. The tap was excellent. The rhythms were delightful. And, despite Vegas’ proximity to famed dance-city Los Angeles, the flavor of the class was subtly Big Apple. Something about Filler’s clipped accent and arching eyebrows seemed to tip a hat to some of the old-school teachers in New York. Jeans and a t-shirt, the nonchalant tapper’s unofficial uniform, completed the look and rang pleasantly of the Tap Dogs persona. “I have a million things I can teach you,” Filler said at the beginning of class. Ultimately, he settled on five components of that million. Each one of the five was a pattern, and each pattern was musically designed to complement the others. When executed together, the steps defied the common notion that percussion isn’t a melodious form of music. The downbeats were cleverly synchronized and the different pitches in each pattern created an orchestrated excellence. It felt like singing in the shower. Or, better yet, singing in the shower with a bunch of other people harmonizing alongside you. Everything fit, and the vaguely mathematical part of a tap dancer’s brain reveled in that. Sound pleasant? The minds behind Tap Dogs thought so too – the choreography Filler taught in class was directly from the Tap Dogs show. Filler’s advice in a nutshell: Don’t forget this. Ever. So whether that shower happens to be in LA, New York or Boulder City (where Filler currently teaches) grab that shampoo bottle, find a fellow rhythm nut and enjoy the music. There’s nothing like it.